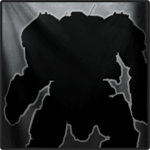 MWO: Forums - Bb Code Iframe Question. Just wanting to throw this out there, but is there a way to have Iframes created by Smurfy's to display on the forums? Edited by Niko Snow, 28 June 2013 - 11:37 AM.